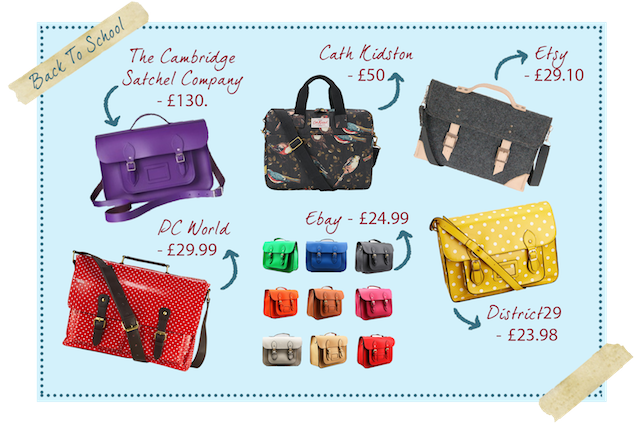 Here is my laptop satchel wishlist. I am currently studying at university and have bought a new laptop for going back with. My sister Mary bought a fantastic spotty satchel from PC World that is very strong and well made. The buckles on the bag are real, not poppers, which means it cannot be easily stolen and has a zip and padding inside. I have also checked out a few more designs to show you that I want. Laptop satchels are really popular at the moment as well as being practical. I have found some beautiful and unusual satchels that will be great for protecting my laptop.